2U, Inc. Vice President and General Manager Named to Baltimore Business Journal's 40 Under 40 | 2U, Inc.
LANHAM, Md., Sept. 5, 2018 /PRNewswire/ -- 2U, Inc. (Nasdaq: TWOU), a global leader in education technology, today announced Vice President and General Manager of 2UGrad Karlo Young has been named to Baltimore Business Journal's 40 Under 40 list. This award honors the rising young business leaders in Greater Baltimore whose commitment to advancing their companies, nonprofits, and the community is unparalleled. The honorees selected are devoted to improving Greater Baltimore. "I am deeply honored to be recognized as a 40 Under 40 leader by the Baltimore Business Journal," said Young. "This recognition is a testament to the many mentors, mentees, friends, family, and colleagues who have continued to inspire, advise, and push me throughout my life and career. I'm fortunate that I've been able to use my blessings and the talents I've developed to serve and impact others in meaningful ways and create positive change in the Greater Baltimore community and beyond." As vice president and general manager of 2U's program portfolio with Syracuse University, Young is responsible for managing relationships and building programs across several complex verticals with one of 2U's largest partners. He oversees strategic growth initiatives for the business and leads the cross-functional team responsible for delivering all program-related aspects of the partnership. Outside of 2U, Young is the president of the Board of Trustees for the Baltimore Educational Scholarship Trust (B.E.S.T.) and a member of the Gilman School's Board of Trustees. Young also serves as the co-director of the Gilman Black Alumni Leadership Institute (GBALI), a weekly leadership and exposure program that brings together promising high school students and adult mentors who offer information about their careers, higher education choices, and many other life decisions. Young has been recognized for his leadership and philanthropic efforts by several organizations. 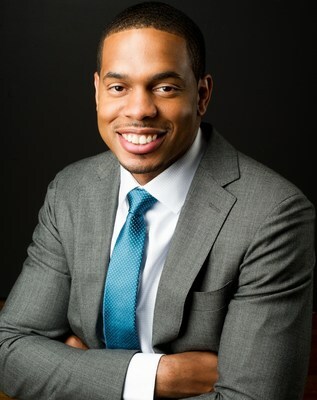 He received Rising Star awards from both the National Association of Black Accountants, Inc. (NABA) and Living Classrooms Foundation, a 40 Under 40 alumni award from Drexel University, and he was named one of Diversity MBA Magazine's Top 100 Under 50 Emerging Leaders. Most recently, he was selected as a 2017 Youn Impact Scholar by the Kellogg School of Management for his leadership around social impact and social entrepreneurship. Prior to joining 2U, Young was an investment banker at Signal Hill Capital, director in consulting at KPMG, and a manager at Deloitte. He received a BS in Information Systems from Drexel University and an MBA from Northwestern University's Kellogg School of Management. To learn more about career opportunities and #Lifeat2U, visit 2U.com/careers.